Not many people know how to make pemmican (or even know what it is), and I think that’s a crying shame…especially since they don’t know that it’s considered to be the ultimate survival food! 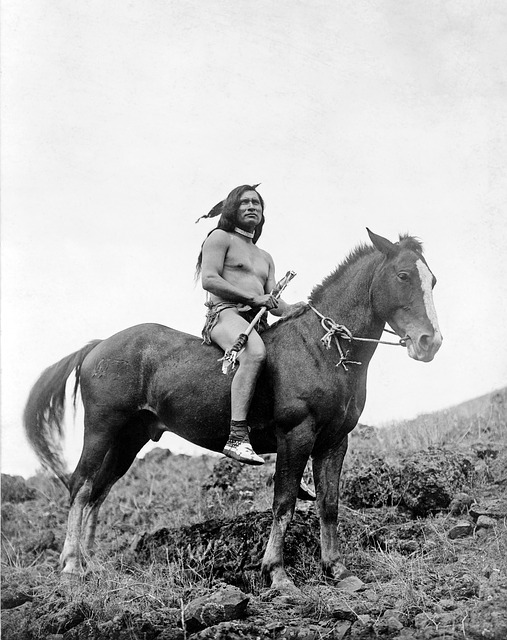 I’ll clue you in – pemmican is an all-natural Native American superfood that was used by their most elite warriors when they needed to stay alive for days-on-end hunting trips. Now that’s all well and good, but here’s the thing that sets pemmican apart from the rest of the food in your kitchen: when made and stored correctly, it can last for years without refrigeration. Think of it – with its rich protein-to-fat content, pemmican could eliminate your need to stockpile any other food! The best part is that the recipe only takes 3 ingredients, so it also helps you save money on survival food. This long-lasting superfood was a key element in helping the Native Americans stay alive, fit and thriving…and I’ll let you in on a little secret – even though they used ingredients they hunted and foraged for themselves, I’m willing to bet you have most of the ingredients at home right now in your kitchen. Think you’re not up to making this top-notch survival food? Relax – we’re betting you pemmiCAN. Take out a rack from your oven and set it on the counter. Slice the beef in very thin strips and spread them out evenly on the oven rack. Place a piece of tin foil on the upper edge of the rack and pour all your blueberries onto the foil (make sure they can’t run off onto the meat). Set your oven to 130°F and put the rack back in once it’s at temperature. Crack the oven door to prevent moisture retention, and cook (with door open) for 15 hours. After 15 hours, take the meat and put it into a blender or food processor. Pulse until the mixture becomes a powder. Then, take out the meat and put in the blueberries, pulsing them until they become a powder. Cut the tallow (fat) into small pieces (1/2″ squares), and place them in a pot on the stove over medium-high heat. For the first ten minutes, stir the fat about once per minute (make sure not to burn the bottom of the fat). After 10 minutes, you can reduce your stirring to once per every five minutes or so. After 30 minutes of this, reduce the heat to medium and continue stirring every five minutes for an additional 30 minutes. By now, the tallow should be chestnut-brown in color. Take a strainer and strain the fat chunks out of the rest of the liquid fat (you can add salt to these chunks and eat them as a snack later). Set the chunks aside. Keep the remaining liquid fat in the pot, heated to about 120°F. Mix the shredded meat into the melted fat and stir until it’s well-blended. Mix the blueberries back in as well. There should be little to no liquid at the bottom of the pot. Store the meat mixture in Ziploc bags, removing as much of the air in the bag as possible. This will allow the pemmican to be stored for a few years without refrigeration. Now I recognize that this superfood (albeit a great resource) still takes a ton of time to make (over 16 hours! ), as well as a lot of patience and dedication with all that stirring every few minutes (isn’t your arm getting tired just reading about it?). Don’t get me wrong – you can absolutely make this recipe. And it’s a good one. However, if you’re looking for an easier way to get delicious food, and one that’ll give you more time to prep for other situations (rather than just making you watch a pot boil), I’ve got an answer for you: Survival Cave Canned Meat. Believe us, you are going to love this meat. It’s absolutely delicious (you won’t ever believe it came out of a can), and it has a shelf live of over 25+ years, which will probably put all your other survival food to shame. Plus, the only contents in these cans are salt and meat – no preservatives, no chemicals, no anything that’s not supposed to be there. Better yet, each can contains 4 individual servings, so it’s well-worth the price tag. 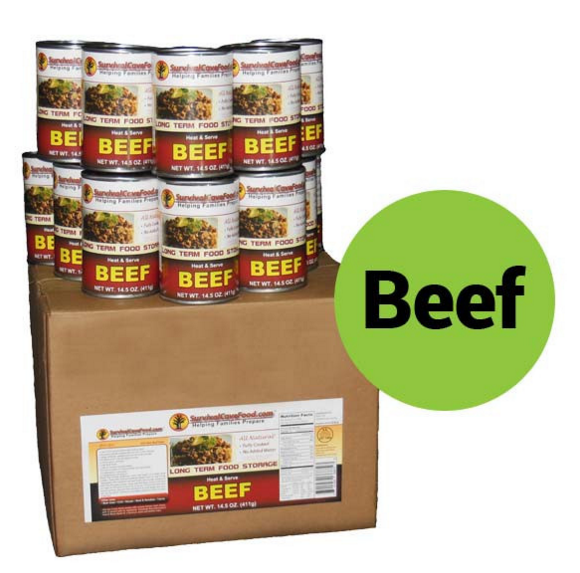 If you’re the kind of guy (or gal) that likes delicious, nutritious, hearty meals at your fingertips (especially in a crunch-time, SHTF situation) this might just be your saving grace. Click the image below to purchase this delicious stuff, and you can finally check “survival food” off your prepping to-do list. This entry was posted in Emergency Preparedness, Emergency Survival, Family Survival, Prepping, SHTF, Survival Cooking, Survival Food Recipes and tagged best survival foods, DIY, DIY Survival, food, food storage, survival, survival food on April 20, 2016 by Survival Frog.